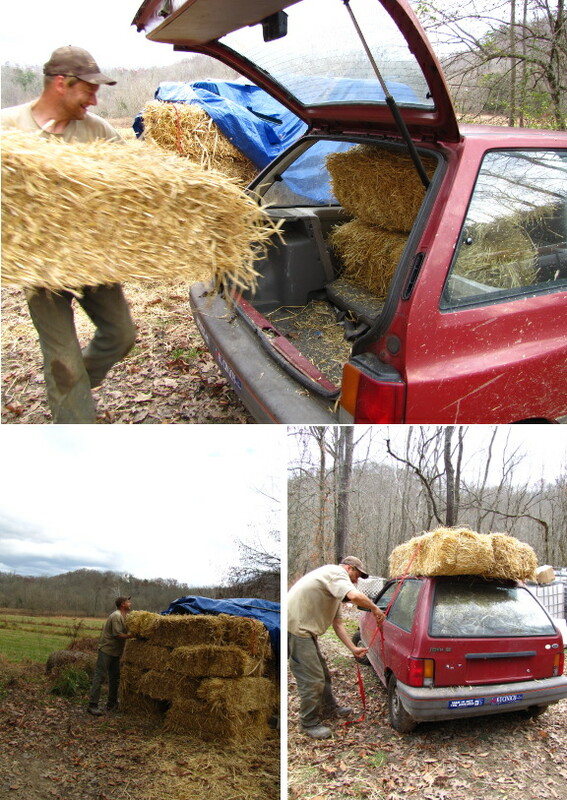 ...knows how many bales of straw he can fit in his car. The parts Festiva can hold eight once you strap four to the roof. I don't know how many times I was in a supermarket parking lot growing up, watching the goat in the backseat while my mother ran errands inside . . . real farmers' cars! Impressive! My dad knows how much hay his truck holds. Charity --- Knowing how many goats fits in your car is even more farmerly. Brandy --- Sounds like your dad's a real farmer. Now that's a farmers car! I love it! Can I have one? A relatively small number was sold in the US. But in the US Citroën was marketed as a luxury brand (e.g. the gorgeous and very advanced DS), so it didn't fit the branding well. There are probably secondhand cars around. There is even a US 2CV club, which has links to people selling them on their website. Technically it was very advanced for its time. From the suspension to the four inboard disk brakes and the extremely simple and reliable engine. An aunt of mine who lives in Switzerland used to have one. In the winter when there was a lot of snow on the roads, she sometimes had to go up the steep road leading to her house backwards because that way shed'd have more traction on the front-drive wheels.